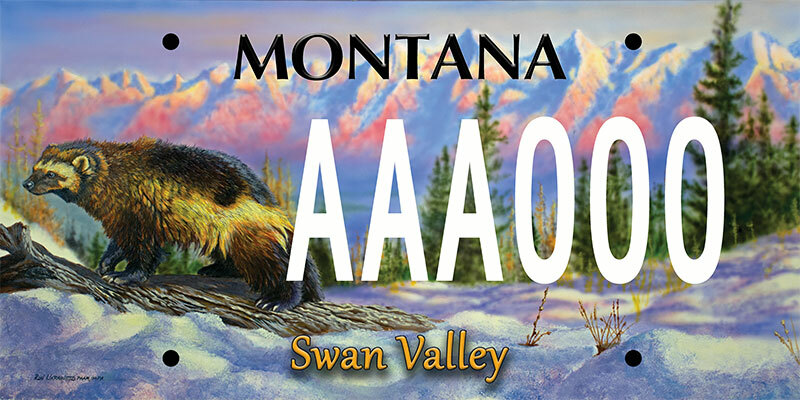 We are pleased to announce a specialty license plate supporting conservation and education efforts in Montana's wild and beautiful Swan Valley. The license plate features a spectacular painting of a wolverine in its natural habitat by renowned artist Ron Ukrainetz. Purchasing the plates supports the conservation and education work of Swan Valley Connections. 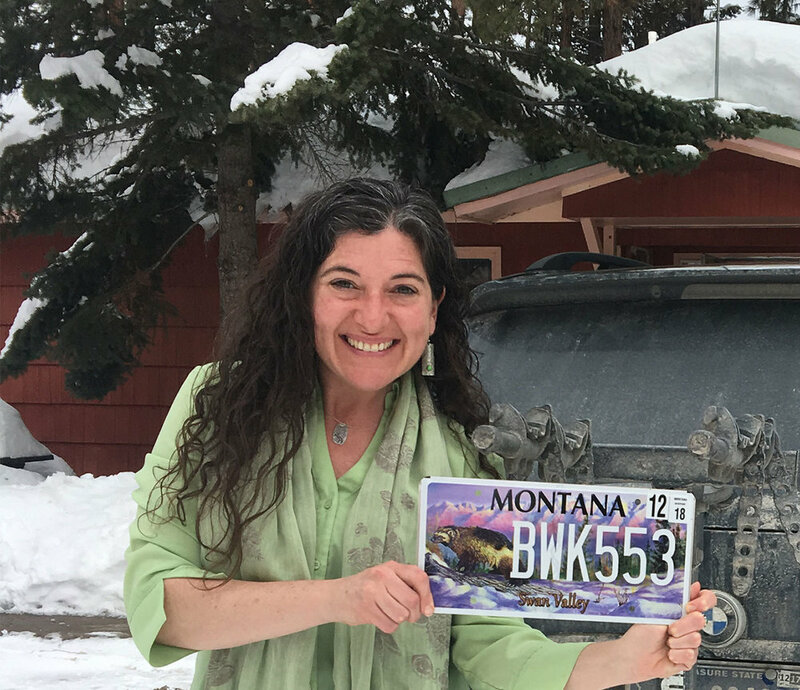 To get Swan Valley plates for your Montana registered vehicle, visit your County's Motor Vehicle Division office with your registration renewal notice. If you want your plates sooner, you don't have to wait until your current plates expire! Just take your old plates (or the registration tag from your plates) to the County Motor Vehicle Department, and order your new plates. If the plates you want are not on hand, the county treasurer will give you a 40-day temporary permit. When your plates are available, you can either pick them up, or, for an additional fee shipping might be arranged with your county office. If you are unable to physically visit your county DMV office, call them to find out how you can obtain your plates. There is a one-time purchase price of $20 for the plates.  Each year (including the first year) a $20 donation from the license renewal fee will support the conservation work of Swan Valley Connections. Special sample plates to give as gifts or hang on your wall are also available at Swan Valley Connections. Sample "SWAN" and "GULO" plates (not legal for use on a vehicle) are $45 plus shipping and handling. Visit the SVC Shop or contact us for details.